With the 4th of July quickly approaching, it’s time to raise our flags in honor of our forefathers before us who declared our independence from Great Britain. 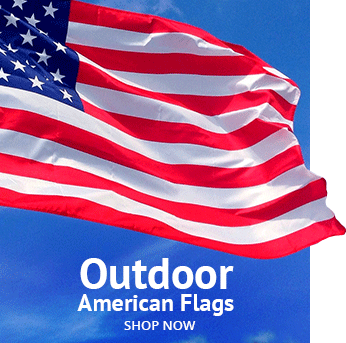 All around the country, we are firing up the grill and gathering together to watch fireworks, but what about our grand old flag? 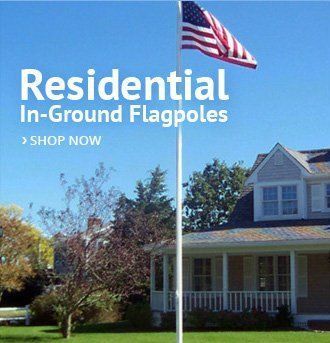 If you have an indoor flag that’s looking neglected, the addition of a flagpole finial is a fine way to pay your respects to our nation’s beginnings. Flagpole finials are the decorative ornaments that are placed at the top of the flagpole. Finials can also serve to protect outdoor hollow flagpoles from the rain or be used to hold pulleys, which allow the flag to be raised and lowered. 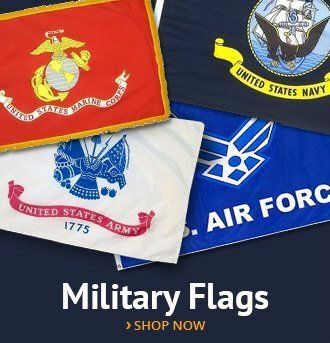 A National Flag Code was created on Flag Day, which was on June 14, 1923, to provide regulations as to the proper exhibition of the American flag. Flag etiquette includes many obvious guidelines. 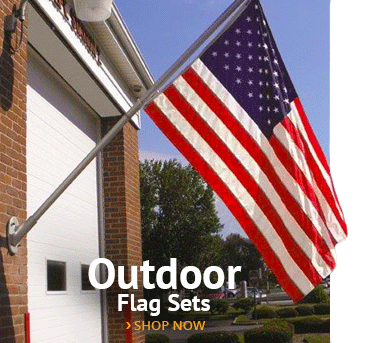 For example, most of us know the flag should never be flown upside down, except to indicate an emergency. However, some rules may not be as well-known. Flag etiquette for flags hung on the wall requires the stars be positioned at the top of the flag. For those of you who display your flags on an indoor flagpole, your flag should always have its place without the presence of other flags surrounding it. Despite these specifics, the National Flag Code is flexible when it comes to the use of finials. No law inhibits the use of any finial atop a flagpole, and the style of the finial is left to the owner’s discretion. Common flagpole finials include the eagle, the spear and the gold ball. The eagle has a long history of representing freedom in the United States. The symbol of our national bird dates to 1782 after Congress set out to officiate a new national seal. Charles Thomson is credited with the idea of the bald eagle, which is native to North America. Interestingly, Benjamin Franklin was opposed to the bald eagle, arguing the bird was lazy in its pursuits because they prefer to scavenge if the opportunity presents itself instead of hunt for themselves. Franklin believed the turkey better represented American history and courage. Luckily, Congress accepted the bald eagle, which can be seen on our currency, the Great Seal of the United States and in artwork throughout the country to express patriotism. The eagle’s majesty and power have become a fitting symbol of American pride. Wherever the eagle is displayed, it means only one thing to all Americans: freedom. The eagle finial is atop the flagpoles in the offices of the President and Vice President, and the United States Army considers this flagpole finial the only one appropriate for Presidential flagpoles. It comes in many different styles, including detailed depictions, as well as traditional eagle designs. The image of the spear dates to the Native Americans who used it for war and hunting. Spears carry a connotation of bravery and were also used in ceremonies to be given to the warriors of great courage. This idea is the significance communicated through a spear finial, which gives the flag a strong and bold appearance. The spear used by the United States Army is flat with two wings extending perpendicular to the central spearhead. Other styles include the more traditional Native American design that only contains the central point. 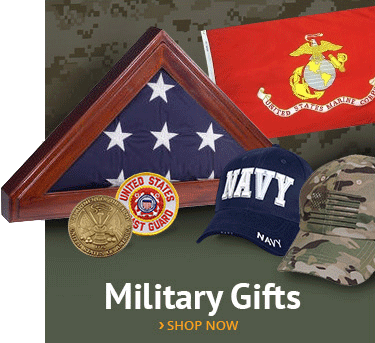 The spear usually comes in silver or gold and is the only finial used by the United States Army when flying the Army’s flag. It has a long, rich history that has carried into present day, representing the heroism of our past and the fearlessness towards our future. There is a myth that a gold ball finial at the top of a flagpole contains items that could be used against an attacker should the flag be under siege. It is rumored to contain weapons like a match, razor or bullet to aid in defense of the flag. Another suggestion is that the sphere contains a symbolic item, like a penny which stands for American economic strength. Although these beliefs have been proven false, the gold ball is a classic finial that gives your flagpole an elegant appearance. Some prefer the gold ball over other figures for an outside flagpole because the flag is unable to catch on sharp edges if being blown by high winds. For indoor flags, it gives a respectable and conservative look for those aiming for a more traditional style. All the above finials are appropriate and commemorate our nation’s history along with the star-spangled banner they adorn. Independence Day is a national flag flying holiday when all Americans, civilians and U.S. military members both stand together in honor of our country’s fight for life, liberty and the pursuit of happiness. This July 4th, be sure to remember your American flag, which stands in the corner of your household, silent but proud.